You may have heard of a new medical term- Palliative care (pronounced PAH-LEE-UH-TIVE). For the last thirty years, palliative care has been provided by hospice programs for dying Americans. Currently these programs serve more than 1 million patients and their families each year. Now this very same approach to care is being used by other health care providers, including teams in hospitals, nursing facilities and home health agencies in combination with other medical treatments to help people who are seriously ill.
To palliate means to make comfortable by treating a person’s symptoms from an illness. 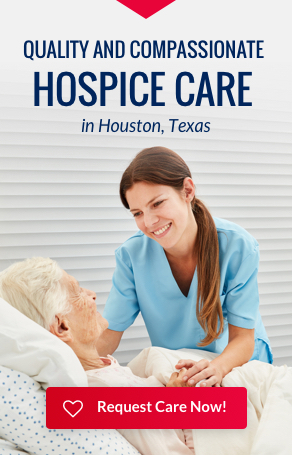 Hospice and palliative care both focus on helping a person be comfortable by addressing issues causing physical or emotional pain, or suffering. Hospice and other palliative care providers have teams of people working together to provide care. The goals of palliative care are to improve the quality of a seriously ill person’s life and to support that person and their family during and after treatment. Hospice focuses on relieving symptoms and supporting patients with a life expectancy of months not years and their families. However, palliative care may be given at anytime during a patient’s illness, from diagnosis on.